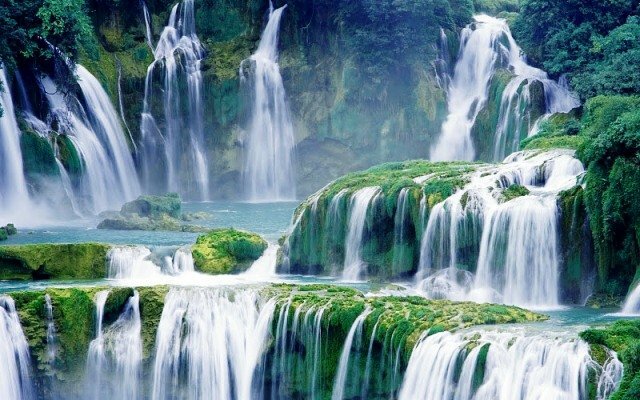 Nowadays Cao Bang with Ban Gioc waterfall is becoming a highlight tourist place in Vietnam which attracts many travellers from all over the world. 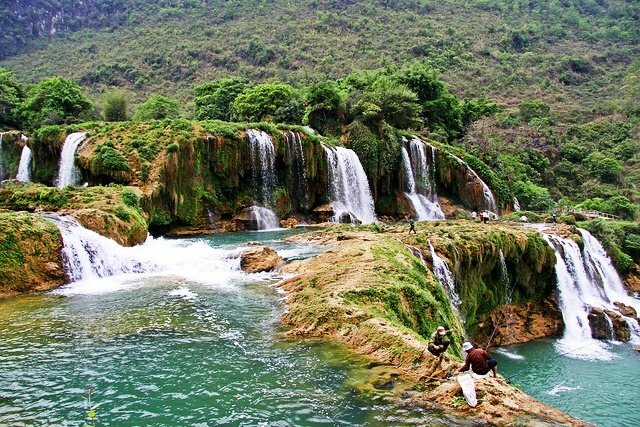 Cao Bang is an amazing place in the North - East of Vietnam. It has wonderful mountain, terraces view as well as rich culture of Ethnic people (Tay, H'Mong, Dzao...). This is a must - see place for those who like to be in an untouristic place. Ban Gioc waterfall is one of the most beautiful water fall in Vietnam. The distance from Hanoi to Ban Gioc is 386 km. + Cao Bang – Ban Gioc: Seating bus. - 8.00 - 8.30 am : Our guide picks you up at the hotel to get on taxi/ car in the Hanoi Old Quarter then takes 30 minute to My Dinh bus station. At the bus station, you get the ticket and get on the big bus. It takes 8 hours to Cao Bang city. On the way, we have 2 times for shortbreaks for bathroom. You also can find you some snacks for breakfast there on your own. - 16:00 – 16:30: Arrived Cao Bang bus station, get droped of here, wait the bus transfer to Ban Gioc. - 19:00: Arrived at Ban Gioc waterfall (last stop). Included: English speaking guide, car or taxi to bus station in Hanoi, bus ticket to Cao Bang, bus ticket to Ban Gioc. - 18:00 – 18:30: Our guide and car/ taxi picks you up at the hotel in the Hanoi Old Quarter then take 30minute to My Dinh bus station. At the bus station you get the ticket and get on the bus take 8 hours to Cao Bang city on the way we have 30 minutes for shortbreaks. You can joy happy room (wc) or eat something. 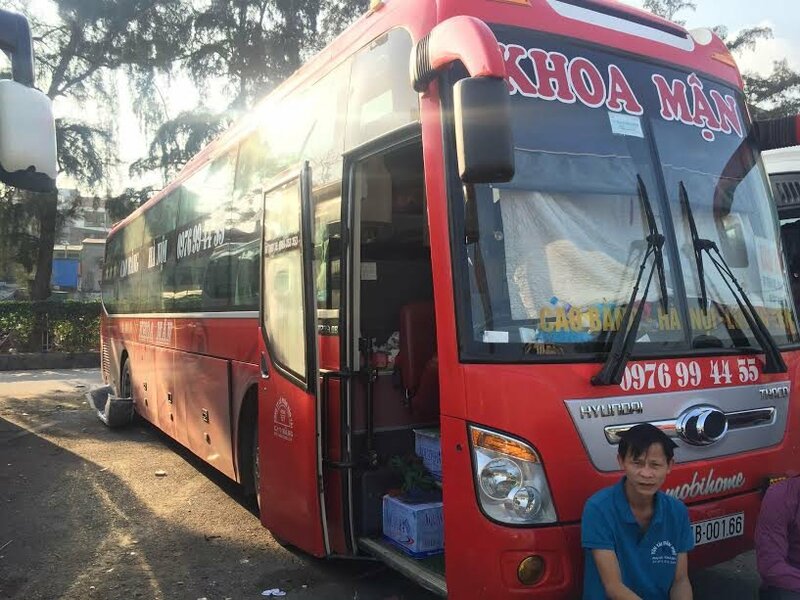 - 4.00 am – 4.30 am: Arrive at Cao Bang bus station you can sleep on bus until 6.00 am during waiting time of the bus transfer to Ban Gioc. - 9.00 am: Arrive at Ban Gioc waterfall (last stop). Included: Being picked up by English speaking guide and car or taxi, bus ticket to Cao Bang, bus ticket to Ban Gioc. Excluded: Insurance, meals , drinks, tip to guide, personal expense. Hanoi Oldquarter – My Dinh bus station – Dong Anh district – Soc Son district – Thai Nguyen province – Bac Kan province – Cao Bang bus station – Bangioc Waterfall(last stop). 14 - 14.30: Bus driver picks you up at the hotel in center of Ban Gioc and get on seating bus to Cao Bang. 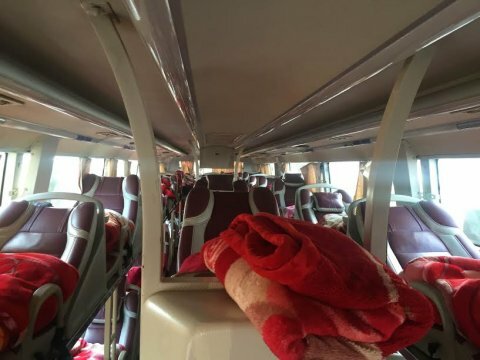 18.30: Getting on the sleeping bus from Cao Bang city. It takes 8 hours riding. There are 1-2 stops on the way for break and bathroom. You will arrive in Hanoi around 4.30 am at bus station from where you take the taxi back to your hotel on your own. 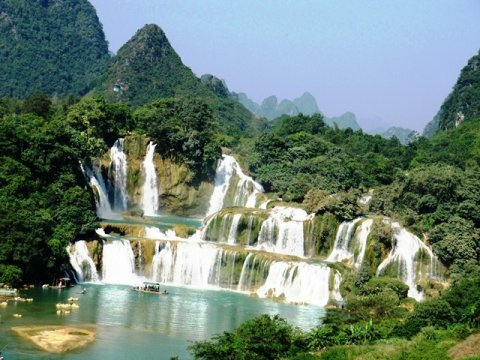 Included: Car or taxi, bus ticket to Cao Bang, bus ticket to Hanoi. Hotel in Ban Gioc – Cao Bang bus station – Bac Kan province (short break) – Thai Nguyen province – Soc Son district – Dong Anh district - My Dinh bus station (last stop). 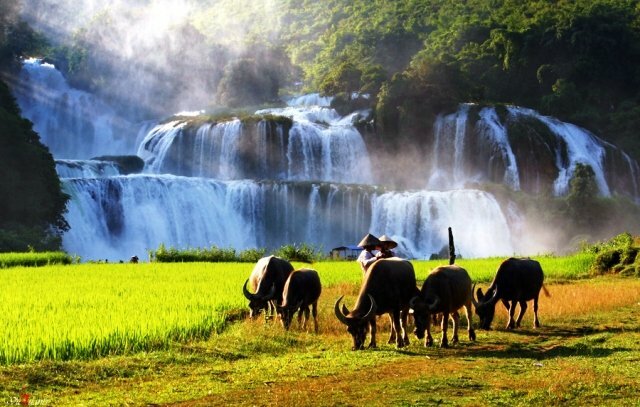 - At Ban Gioc waterfall you can rent motobike to discovery everywhere about 10$ per day. If you want to carry motobike from Hanoi, we can only carry Honda Wave, Win motorbike, and you have to pay extra: 25$ per motobike.You shouldn't miss Nguom Ngao cave, it is one of my favourite cave in the North of Vietnam. You can visit Ban Gioc waterfall all year but the best time to visit Cao Bang - Ban Gioc is in April, May, June, August. Because it rains much during this time, the waterfall flows very strong. September, October are also a good season to have wonderful view of rice terraces around this area. - Get discount 5% per person if you book tickets on vietnamlocalbus.com group of 5 people.